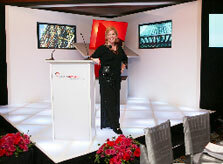 WCPR can produce any presentation for your company with the highest degree of broadcast quality. From concept to final result – we can execute a client's vision. WCPR is also available for hire on a per diem basis and we offer our featured services on an individual basis as well.